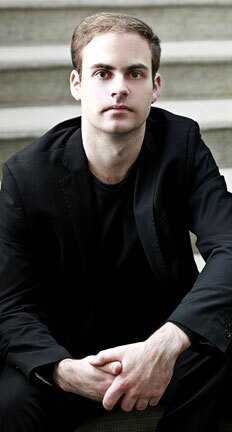 Pianist Philipp Heiß was born in Augsburg, Germany and first took music lessons at the age of five. After studying with Einar Steen-Nökleberg, Jan-Philip Schulze and Justus Zeyen at Hanover’s University of Music, Drama and Media and with András Hamary, Gerold Huber and Denise Benda at the University of Music Wuerzburg, since 2014 he has studied art-song accompaniment with Donald Sulzen and Fritz Schwinghammer at the University of Music and Performing Arts Munich. Among other awards, he has won scholarships from the endowment fund of Hanover’s University of Music and Fine Arts and the 2013 German Music Competition. As a prize winner at the latter competition, he features in the 58th nationwide series of Young Artists’ Concerts (Bundesauswahl Konzerte Junger Künstler). He is also the recipient of a grant for the advancement of the arts awarded by the city of Augsburg. He has performed in recital at various well-known festivals, among them the Kasseler Musiktage and the Kurt Weill Festival in Dessau as well as on tour in Austria, France, Italy, Finland and the United States. In addition, he appeared in the role of Fritz Naprawnik in Michael Haneke’s feature film The Piano Teacher (La Pianiste). Philipp Heiß has gained invaluable insight from participating in master classes given by Axel Bauni, Eberhard Feltz, Irwin Gage, Bernd Goetzke, Clemens Hagen, Matthias Kirschnereit, Henri Sigfridsson and Tabea Zimmermann. Mr. Heiß is a lecturer at the University of Music Wuerzburg.